What Does Google Analytics Data Retention Impact? This only impacts your ad-hoc reports, multi-channel funnel and attribution reports, and flow-visualization reports. If you don't know what these reports are, then there is a high probability that this will not impact you, but by changing your settings now this data will be there when you are ready for it. What Google Analytics Data Retention Does Not Impact? Google says these controls do not affect most standard reporting, which is based on aggregated data. Google Analytics aggregated data is what's used for the canned or default reports. These default reports are automatically generated and available inside your Google Analytics account. They report on Audience, Acquisition, Behavior, and Conversions. Is Google Analytics Data Retention Part of the New GDPR? It doesn't seem the new data retention controls are a result of the new GDPR. From what I've read, it is implied that the change is coincidental, but advantageous for Google to delete some of this historical data that it has been hanging on to. Just because you are not using this data today, doesn't mean you might not want to in the future. Protect your ability to use the data at a future time by adjusting your data retention controls to “Do not automatically expire.” If you do nothing, the setting with default to 26 months leaving you a little over two years of historical data to analyze at any time. Go into the admin area of your account, where you should see three columns of data settings (Account, Property, and View). Select your property settings from the middle column. Next, click on Tracking Info (look for the .js icon in front of it). Then choose Data Retention from the submenu. In your data retention controls select “Do not automatically expire” from the drop-down menu. Finally, click the blue Save button to save your updated setting. 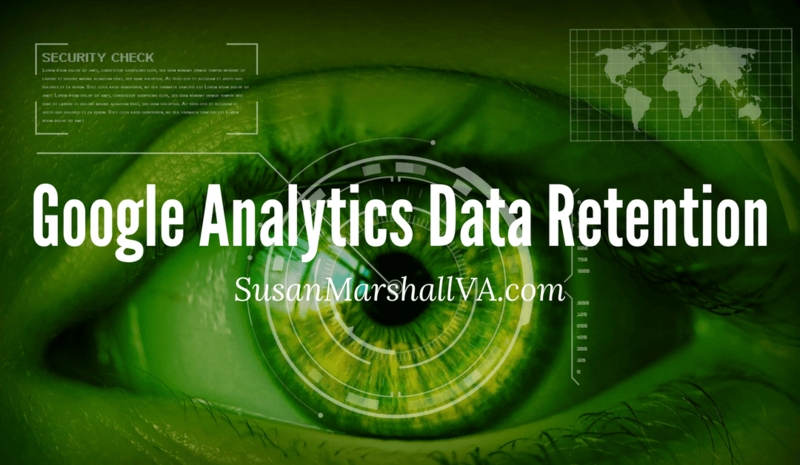 Want More Information On Google Analytics Data Retention? The following two sources were used in researching this post. Please visit one or both of these links for more information on data retention and/or Google Analytics.